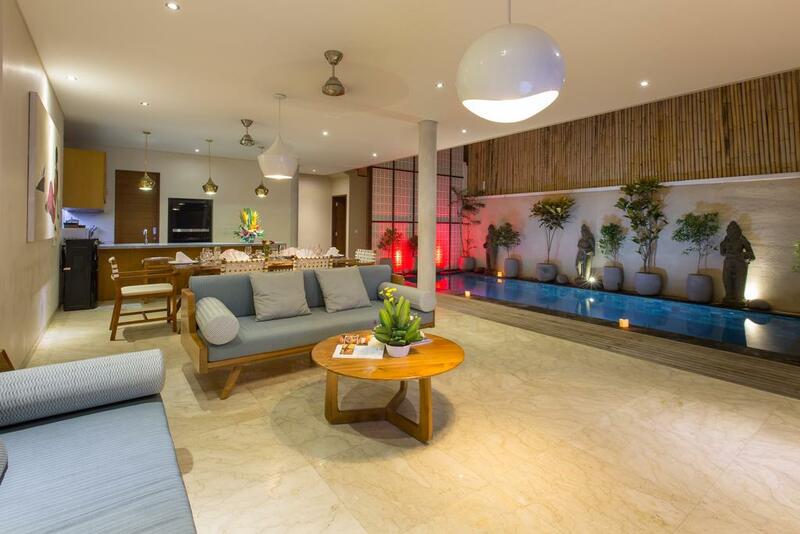 Beautiful Bali Villas is simply the perfect place for a vacation whether you are planning a romantic honeymoon or a fun getaway with family and friends. Just enjoy the proximity to beaches and incredibility of breath-taking natural beauty and comforting, warm environment of Bali. 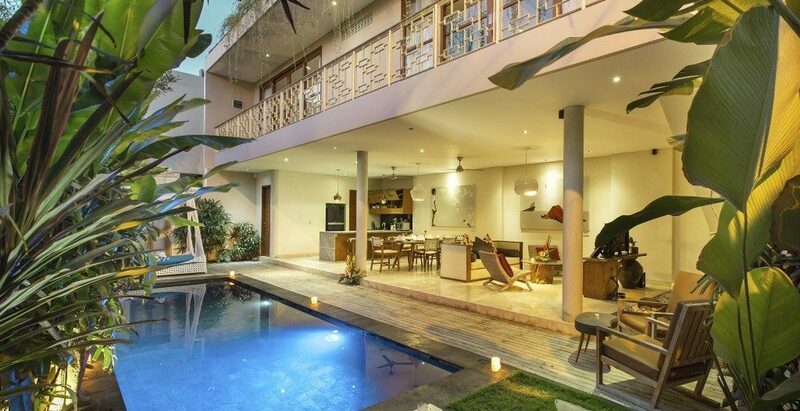 Situated near the prime locations of Kuta, Legian, and Seminyak, Beautiful Bali Villas is a complex of 10 villas with 1, 2, and 3 bedrooms with a tropical ambiance, private pools and optimal privacy. 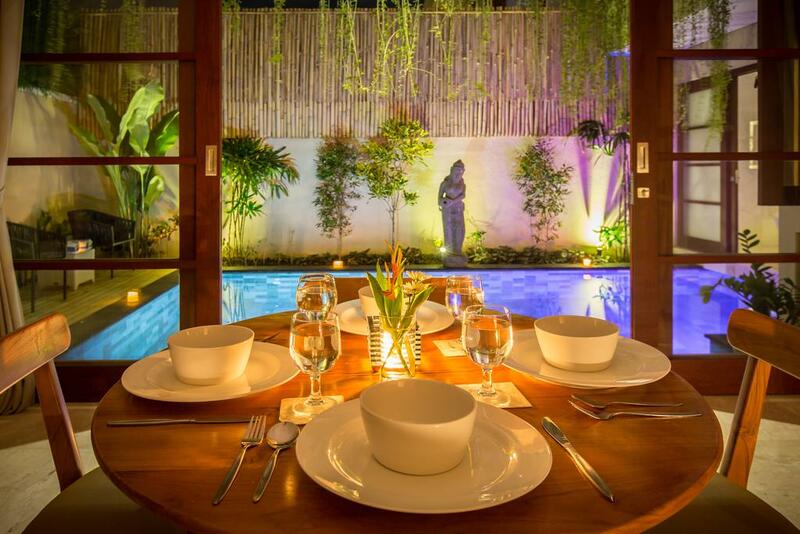 You can easily find some great nearby restaurants, shops, boutiques, and much more for a wonderful vacation. 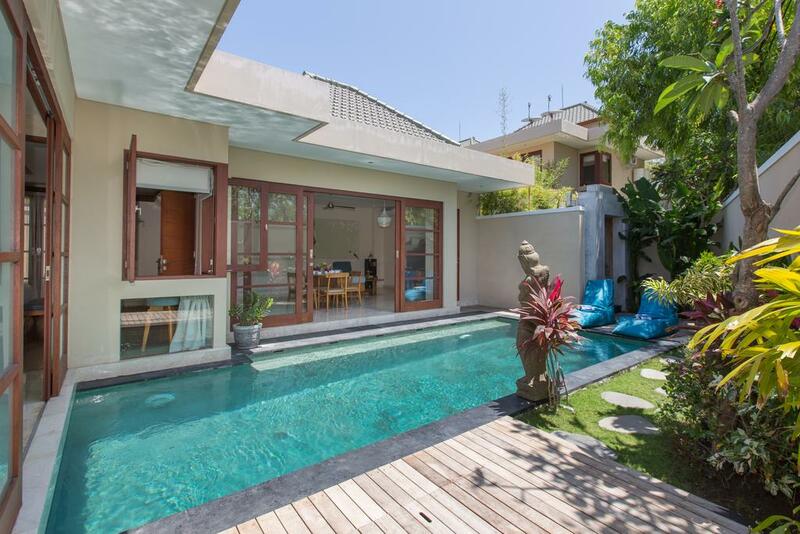 Our famous villas are located near the Legian Beach, just about 20 minutes from the airport. 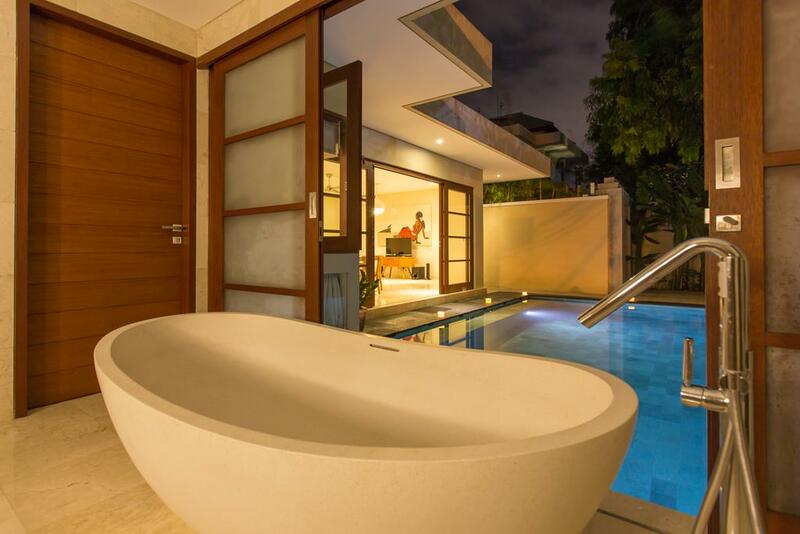 In the most stylish and upscale resort area of Seminyak, Bali, villas at Beautiful Bali Villas have their own pool, living room, kitchen, air conditioner, dedicated Wi-Fi and all the facilities you need. Our entire area a secured by professional guards and our friendly front-desk staff is there to cater you 24/7. Our professional staff members are helpful and friendly and can speak fluent English as well as multiple languages to make our guests feel at home. And you can have our chefs prepare your breakfast according to your order. 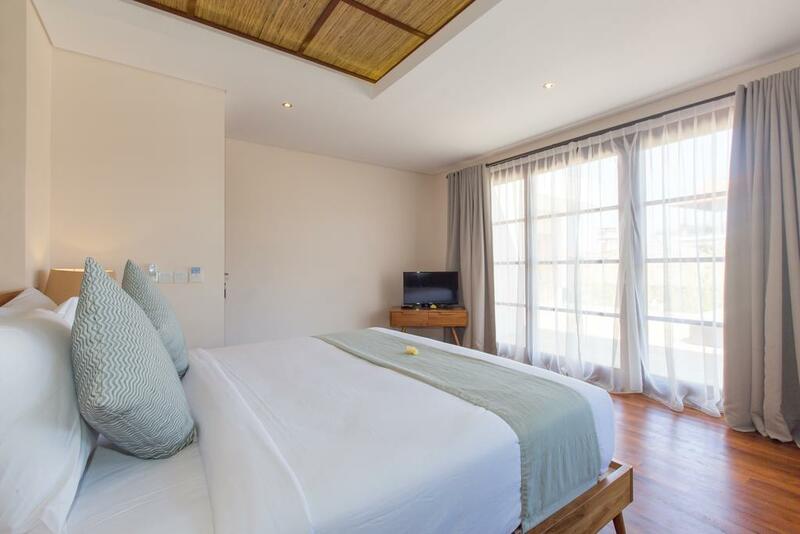 Each bedroom comprises of a private bathroom and remote-controlled air conditioning as well as you can also connect with the front desk using the phone provided in your villa. 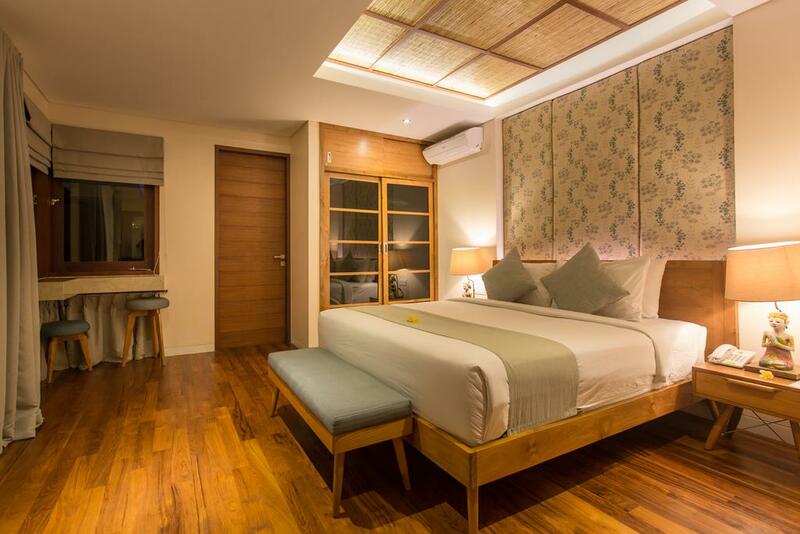 1-Bedroom Villa in Bali can be an incredible choice for newlywed couples and solo travelers. With 24-hour desk services and regular housekeeping, you will have no trouble staying as long as you wish at an exotic hotel resort in Bali. 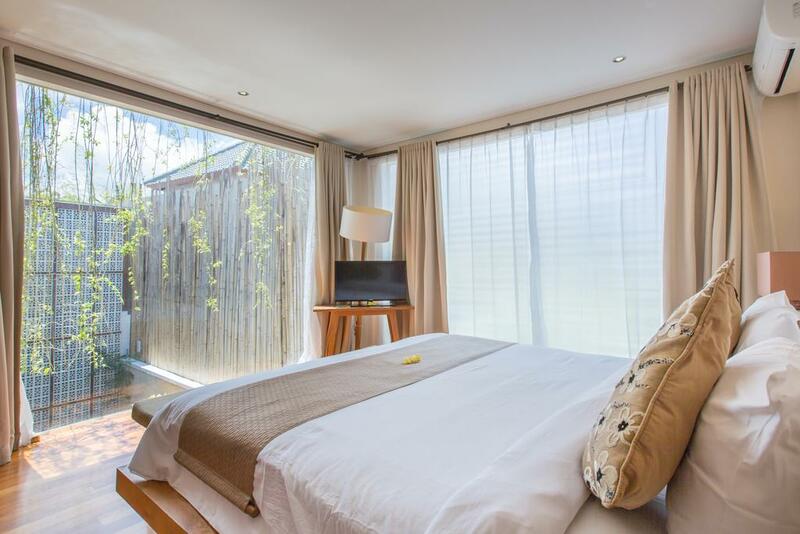 The staff at Beautiful Bali Villas wants to ensure customer’s privacy and comfort. 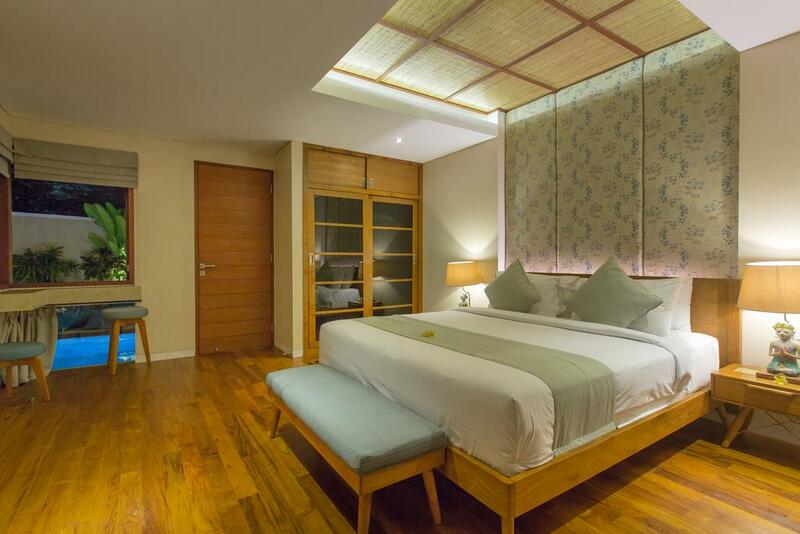 The customers can stay peacefully in any one of our luxurious rooms at Beautiful Bali Villas. After enjoying taking a dive into an outdoor pool, you can visit a nearby spa and feel relaxed. You will feel happy and satisfied with our reliable services. Our priority is to make sure every customer can enjoy the beaches and nightlife of Bali. 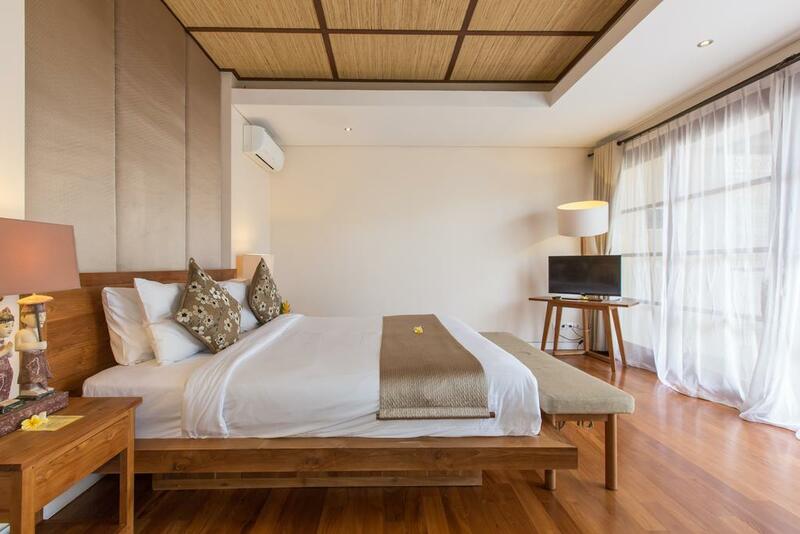 Whether you are alone or with your spouse, book a 1-bedroom villa in Legian, Bali, and let us take care of your basic needs. 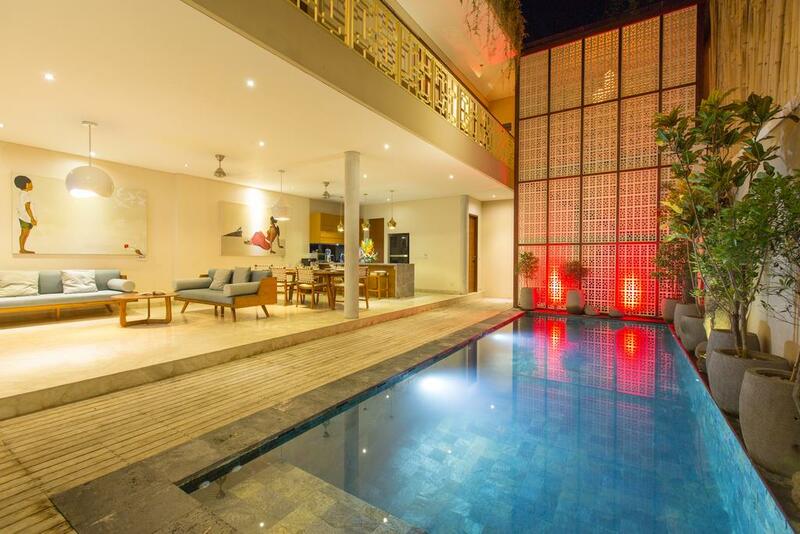 A 2-bedroom villa in Legian, Bali, can be a perfect choice for small families and groups. 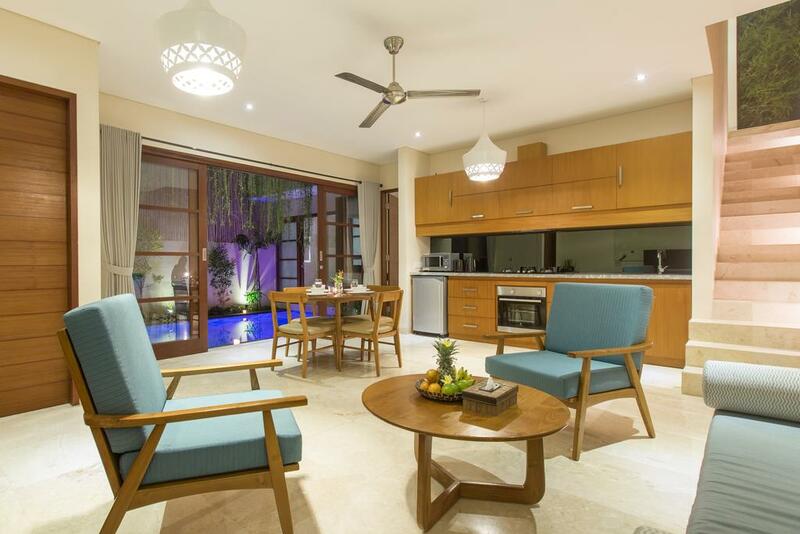 At Beautiful Bali Villas, you can enjoy regular housekeeping, 24-hour front desk assistance and security services, a fully equipped kitchen with refrigerator, and complimentary grocery shopping assistance. When traveling with children, couples won’t have to worry about their intimate privacy or sharing rooms with children in our villas. At 2-bedroom villa in Seminyak, Bali, in Beautiful Bali Villas, you can experience peace and tranquility with our ever-rich ambiance, tropical pool, high-quality furniture made from some of the best local wood species, delicious breakfast, full-day services, outdoor shower, water features, LED Television, wireless internet, and much more to allow you take care of your basic needs. 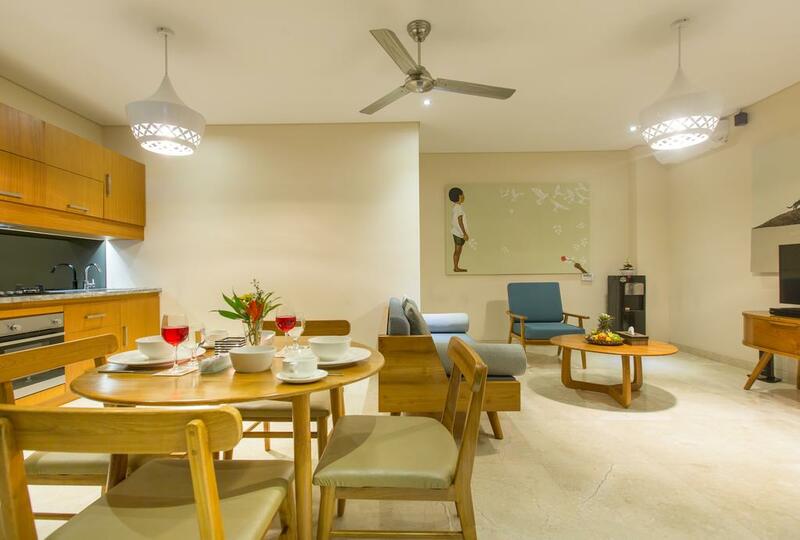 The environment of our villas will make you feel like a home away from home. 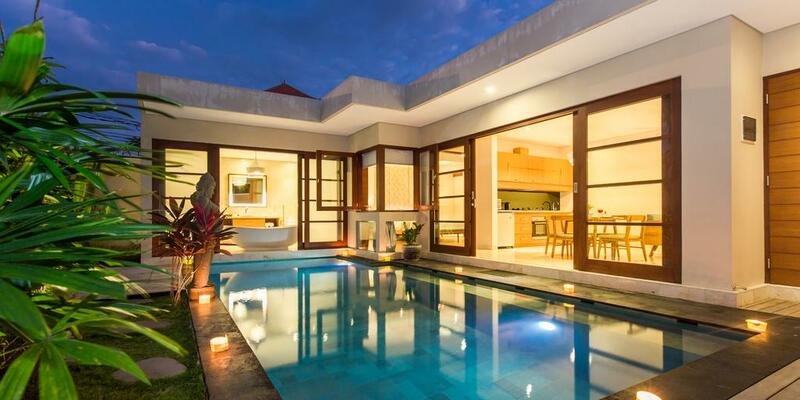 A 3-bedroom villa in Bali can be a perfect choice for large families and groups of friends and tourists. You can enjoy 24-hour security services and front desk assistance, regular housekeeping, a fully equipped open kitchen with refrigerator, comfortable beds and couches, relaxing environment, and complimentary grocery shopping assistance. As a family, while your children can use the other 2 bedrooms, couples can maintain their intimacy. 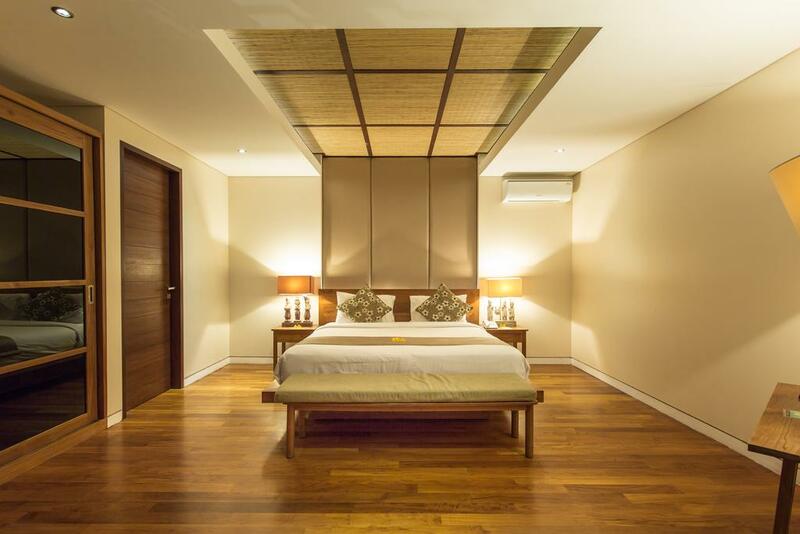 Staff at Beautiful Bali Villas prioritizes guests’ privacy and comfort. 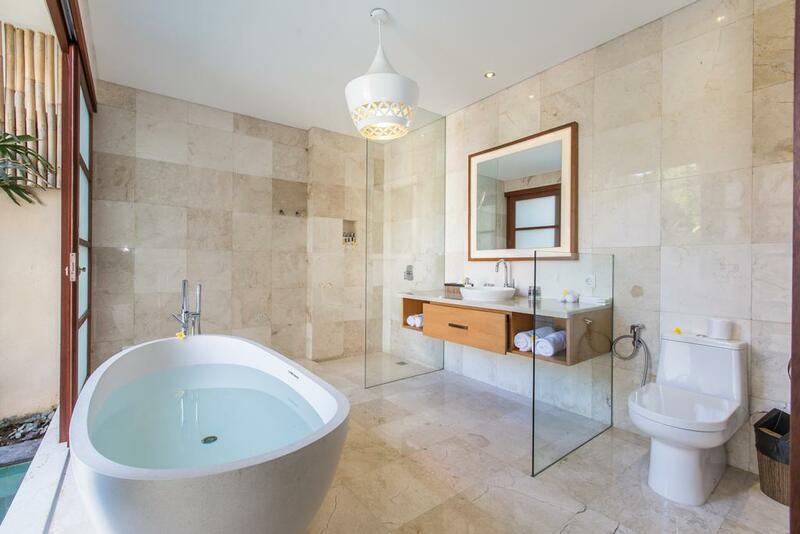 Comfort, peace, and tranquility are what many travelers seek in their accommodation. 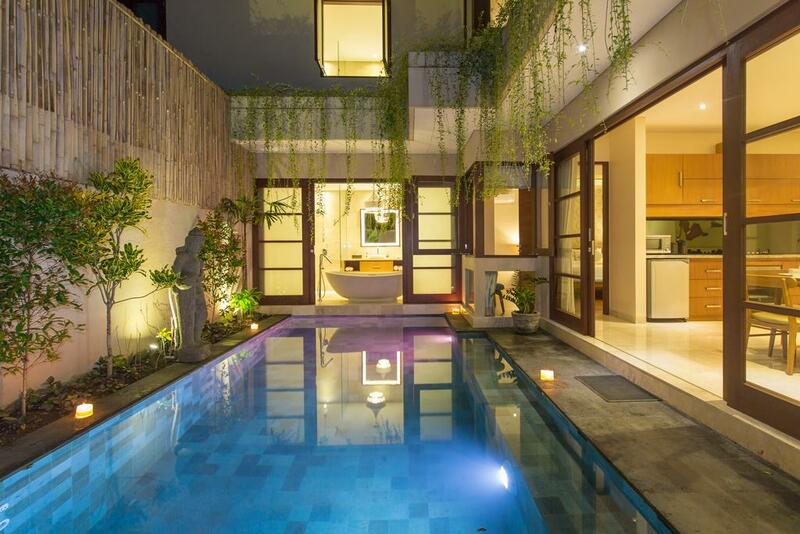 A 3-bedroom villa in Seminyak, Bali has just what you are looking for. You can enjoy your stay with the best amenities including full-day service, mouthwatering breakfast, big tropical pool with adjusted room temperature, outdoor shower, water features, LED TV, Wi-Fi, day beds or lounges, high-quality furniture crafted from the best local wood species, and overall ethnic environment under one roof. 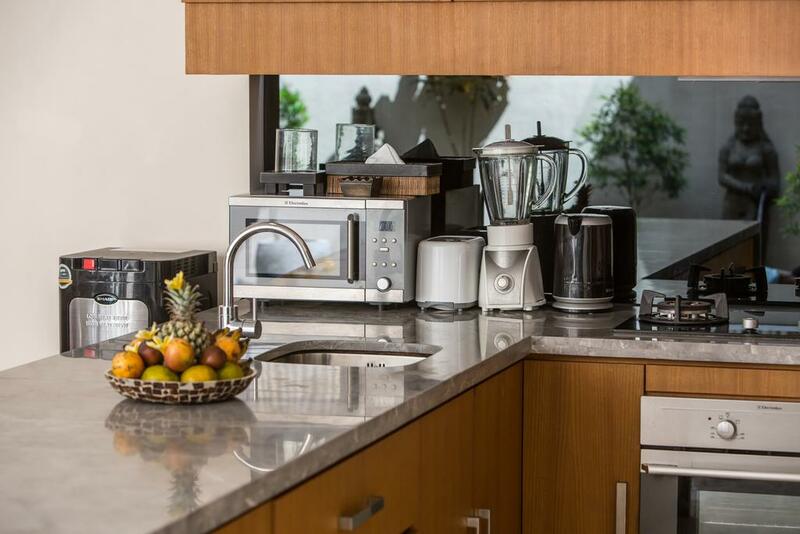 Full kitchen with imported appliances. Swimming pool with an ice well for cold drinks, LED lights and spa jets. Furniture with local sustainable timber designed by the owner with each piece having its own style. Proximity to the beach, local river – fishing and ceremonies.